Hi guys just posting to see if i can get a quick answer towards my air filter to see which one should fit it. i have this one installed, i currently have a spectre brand or something so i wont something better obviously. so i want to go with K&N. thanks in advance! I tried to replace my ghetto filter with a couple of K&N's with no luck. There isn't enough room for the filter on a ram air with the battery still in the engine bay. I tried 4 air filters (car & truck) with no luck. Stop by a parts store and see if they will let you take a filter outside and check fitment? i can imagen its a pretty tight spot. i might just do that to get the right fitment but maybe someone has had better luck finding the right one then both us of Lol. Go back to the stock intake and use a K&N drop in filter. I have a little k&n on mine.. I have a AEM CAI and it is fitted with a AEM dryflow filter. I would think that would fit your intake as well. .i went to the auto part store today and bought a k&N filter that seemed like it would fit but the clamp on part didnt go on right since it was like literally half a inch wider then the pipe. gotta keep looking. 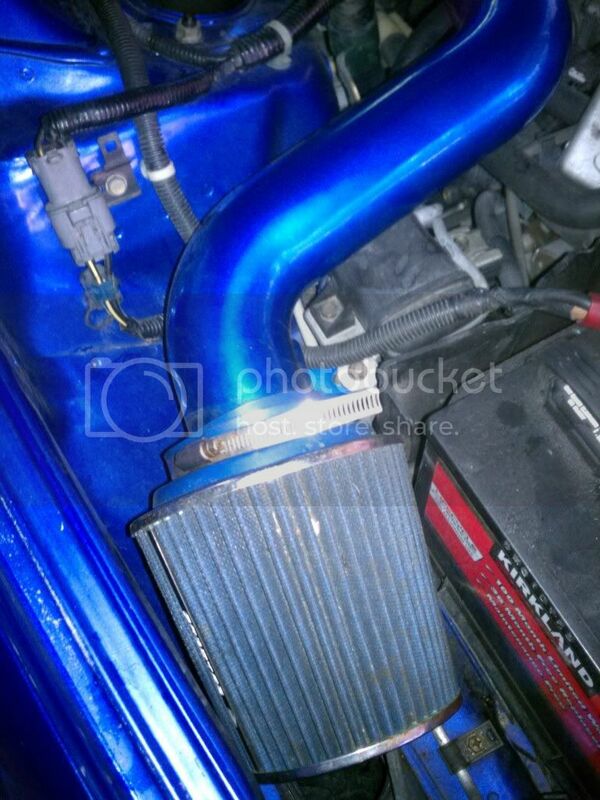 So is the stock air intake better then most after market ones? If so why would people change them? They change them because they incorrectly associate noise with power. 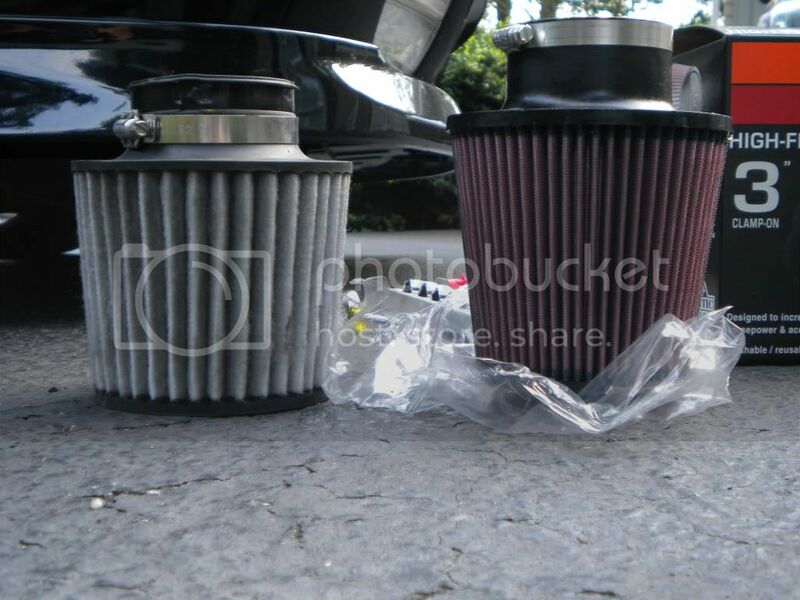 Here is my write up on Honda intake technology for the VTEC Prelude. ,When it comes to fuel economy the technology in the stock intake has you covered in a way that no aftermarket intake can. At low rpms, the stock intake acts to speed up the air flow which is best for low speed, fuel efficient operation.It does that by using 2 funnels, or velocity stacks as they are called ,and a valve that cuts off one of the air inputs to the air intake. Last edited by SHDRIVER; 06-28-2011 at 05:52 PM. Yea i see what you mean. Ill see if in a week or two i can purchase one at the right price. Just for a little reference (I know you have a SRI), I've used both of these on my CAI - this picture is just for size comparison between an AEM dry flow and a K&N both 3" filters. 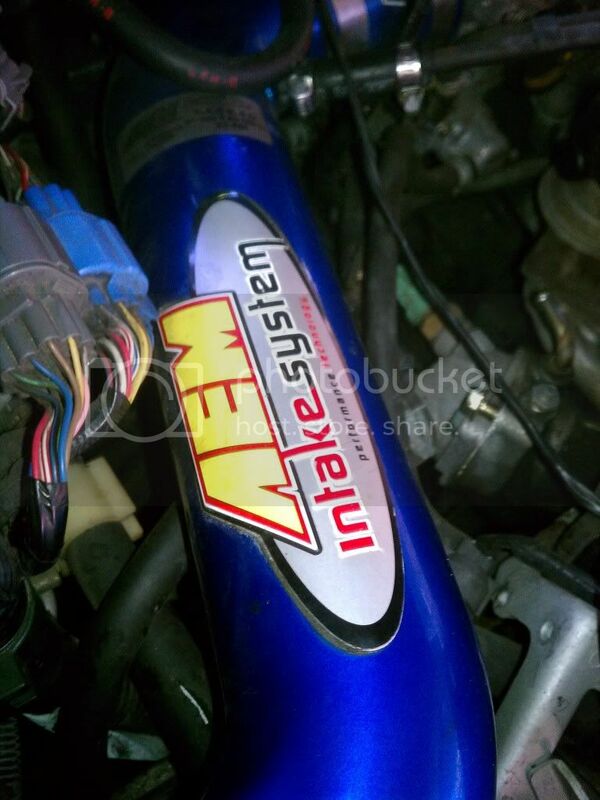 A BPI flowstack with a K&N filter WILL fit a short ram intake with your battery in place. You could make an extension with parts from your local autoparts store and make your SRI into a CAI, or just go with a stock airbox with a drop in K&N filter. The SRI isn't really doing much more than giving you unnecessary noise. i actually purchased both of those filters you have in the picture and i returned them because i coudlnt get them to fit. i had no idea there was a BPI flowstack i could use. i might just find someone to sell my SRI to and purchase JDM type s intake. sounds like the best way to go no? will something like the JDM Type-S Dynamic Air Intake fit perfectly like the stock intake? Last edited by Mu5ic92; 06-30-2011 at 12:58 AM. Go for the Type-S, you won't regret it. yeah second that. Until I find a type-S, Ive got a K&N Short Air..and Im lovin it. And did RT finally make an informative post? Can anyone even actually find a type-s intake? They're readily available on most JDM parts websites, just gotta look.